"Not changing is risky," said Pat Crawford, the senior director of research for the University of California Agriculture and Natural Resources (UC ANR) Nutrition Policy Institute. "The United States – along with Mexico – has the highest obesity rates in the industrialized world. With these extraordinarily high obesity rates, we are on a path toward ever-rising chronic disease rates including not just diabetes, but also heart disease and some cancers, increasing healthcare costs and reducing productivity." The UC Food Observer published an extensive interview with Crawford, who, prior to joining the NPI, co-founded and directed the Center for Weight and Health at UC Berkeley for 15 years. She is a UC ANR Cooperative Extension nutrition specialist, as well as an adjunct professor in the School of Public Health at UC Berkeley. Crawford led the 10-year longitudinal NHLBI Growth & Health Study, an epidemiologic study on the development of obesity in African American girls and FitWIC, the five-state obesity prevention initiative in WIC. She is currently leading studies evaluating a wide variety of state and national nutrition programs and policies. 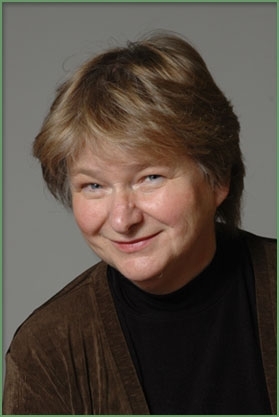 An internationally respected researcher, Crawford served on the California Legislative Task Force on Diabetes and Obesity and chaired the Institute of Medicine's Workshop (IOM) on Food Insecurity and Obesity. Q: You have worked very hard over several decades to inspire positive change in human health. Can you tell our readers a little about the nutrition politics and the situation that encouraged you to do this? What keeps you passionate about your work? A: From the 1970s to the 1990s, I was involved in research studies measuring the health effects of children's diets and physical activity levels, with particular attention to racial and ethnic disparities. Over this time period, I saw clear evidence of the deterioration of children's diets, with a disturbing and widespread transition to convenience foods and snack-type processed foods. These foods were being sold and distributed in the very institutions where children learned and were cared for. They were widely advertised and marketed to children and were replacing more nutritious foods. New foods were often heavily fortified, deceptively making them seem like nutritious alternatives. While I was watching these dietary changes, I also began to see the rapid, unprecedented, shocking rise in childhood obesity, with accompanying implications for health. We learned that childhood diets characterized by excessive calories from low-nutrient foods could lead to negative population-wide health effects during childhood as well as during adulthood. Our processed and snack-food rich diet was associated with a tripling in the rates of childhood obesity and a new spread of type 2 diabetes never before seen among children. I knew I needed to stop watching the trends and start trying to reverse them. What keeps me passionate is knowing that change is possible when high quality policy relevant research is conducted and communicated to decision makers and those who work with children. During the last decade we have seen early signs of declines in the rapidly rising child obesity rates. If this energy to improve children's health continues for 20 more years, I would expect rates of child obesity to return to those in the years preceding the1980s, thereby nearly eliminating type 2 diabetes and heart disease risk factors in childhood. 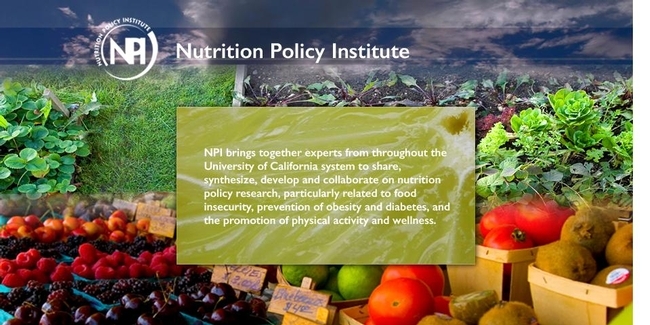 The Nutrition Policy Insitute is part of UC Agriculture and Natural Resources (UC ANR). Q: Your research team has recently relocated to UC ANR, to become part of the Nutrition Policy Institute. And you've become the unit's new senior director of research. What strategic opportunities and strengths does this new research unit hope to capitalize on? A: This new unit is in the systemwide UC Division of Agriculture and Natural Resources, rather than being located on a specific campus. This provides more opportunities for multi-campus collaboration on issues that are of statewide and national concern. Being located in UC ANR, we also expect to use a broader food systems approach with a greater diversity of colleagues and, of course, utilize the power and reach of UC ANR Cooperative Extension to assure outreach throughout the state. Q: People of color generally have poorer health outcomes in America. What public policies could help us change that? You led a seminal epidemiologic study on the development of obesity in African American girls. How does that work inform your thinking about nutrition education efforts and public policies in that arena? A: The 10-year NHLBI Growth and Health Study was one of the first studies to disentangle the effects of race/ethnicity and family income and education on childhood obesity. We found that poverty is a critical determinant of obesity. This finding has guided my subsequent work conducting research on WIC [Women, Infants, and Children], the School Lunch Program, and SNAP-Ed [Supplemental Nutrition Assistance Program Education, previously food stamps], all of which provide an opportunity to address the most at-risk individuals, including children. We have seen dramatic improvements in the programs. For example, the WIC program, which serves low-income pregnant women and their young children, revamped their food package to include more healthful foods. Similarly, new school lunch guidelines are assuring more healthful foods are served to children. Most of the children who benefit from this are low income students who qualify for free and reduced-price meals. There is still plenty of work to do to improve the programs, to ensure all those who could benefit have access to them, and that the benefits provided are funded adequately, but I am encouraged by how much has been accomplished. Q: The average person knows relatively little about how research can inform and shape public policy. Are there insights you'd care to offer? A: Policy-making bodies at both the state and national levels are eager to have science-based information to make the best decisions possible. Policymakers want to positively impact the health of their constituents. And more policymakers than ever are aware that our country spends far too much on healthcare and doesn't have the best health to show for it. This focuses increasing attention on disease prevention, as we clearly must do more to promote population health and keep people from needing to consume healthcare. Dietary intake is increasingly recognized as a major factor in the prevention and reduction of chronic disease rates in this country. Therefore, providing decisionmakers with good evidence about ways to improve dietary intake and thus population health offers opportunities to do something that helps constituents—and ultimately may lead to improvements in the nation's bottom line as well. Q: The Academy of Nutrition and Dietetics recently received a great deal of negative attention when its new Kids Eat Right logo landed on Kraft Singles. They've had to walk back this decision, in part, due to pressure from their constituent group and folks like you. Any comments or insight you can provide on this situation?  Is the logo a damaged brand now? A: The Academy of Nutrition and Dietetics recently embarked on a new partnership with the food industry. However, it is my understanding that the Academy's membership questioned the terms of the partnership, thus bringing into question the degree of separation of nutrition professionals from the influence of industry. Food industry sponsorship of speakers at annual meetings of the dietetics profession is another example of action that has begun to cloud the Academy's reputation. If the Academy does not change its approach, I fear it could become a damaged brand. Q: MyPlate politics. We recently did a Q&A with Alissa Hamilton, who advocates for the replacement of milk as the suggested beverage with water. What's your take on this? What kinds of issues are likely to emerge as the Dietary Guidelines move further along in the revision process? What would you like to see? What do you expect to see? 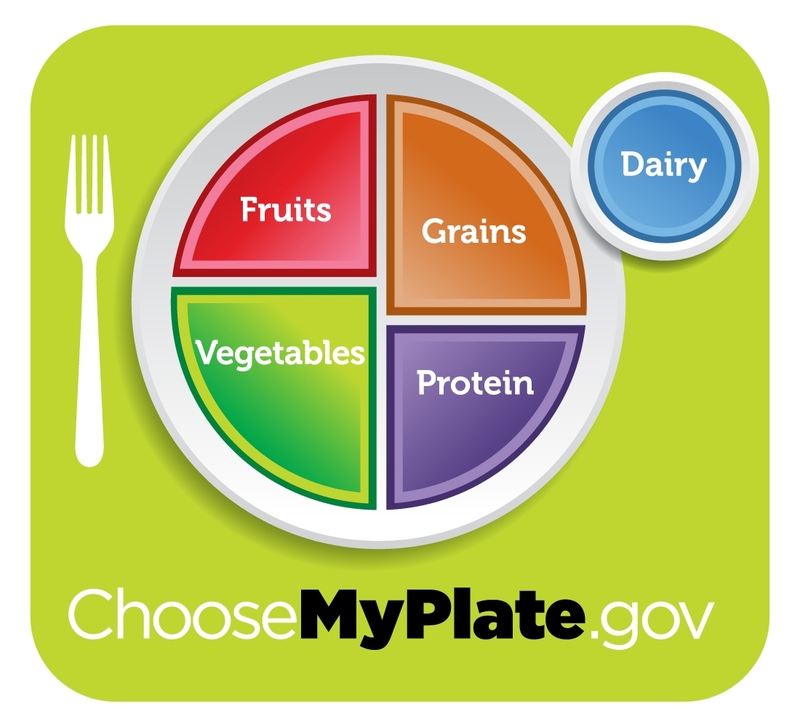 A: The Dietary Guidelines Advisory Committee is an independent scientific body that reviews the evidence behind the nation's dietary recommendations. The current evidence on dairy supports its inclusion in the recommendations. Thus, in my mind, the issue isn't the need for replacement of milk with water, but rather the replacement of soda, energy drinks, and other sugar-sweetened beverages with water. Hopefully educational materials for the public, including MyPlate, can begin to include water as the beverage that is first for thirst. Free water should be available in schools, childcare centers, worksites, public buildings and all other venues that serve children and adults. Hopefully, the final Dietary Guidelines, when issued, will reflect the recommendation by the Dietary Guidelines Advisory Committee that added sugars be limited to no more than 10 percent of the calories in a diet. We have had strong evidence of sugar's contribution to diabetes, heart disease, obesity and dental caries. Therefore, in order for consumers to estimate their added sugar intake, it would be necessary for the FDA to modify the nutrition facts label to include added sugar. Without this information the American public has no resources with which to determine the amount of added sugar in their diet. I also support the Committee's recommendation to consider sustainability when making dietary advice, and their encouragement of a plant-based diet. We are just beginning to understand all of the ways in which our food system is connected. Ensuring an adequate and adequately nourishing food supply for the population in the future demands that we continue to move in this direction. Q: You're a researcher, but you also exert a profound influence in food politics. A battle is shaping up in Congress over the Healthy School Meals Act, which is due to expire at the end of September. 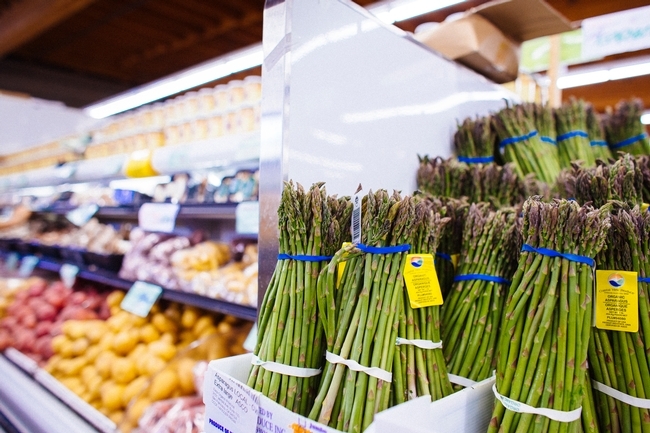 In addition, the SNAP program is under fire by some politicians. Can you talk a little about the dynamics of these situations? Ultimately, what do you think might happen? A: The safety net programs are under fire by some who seek to reduce or shift priorities in the federal budget, but the data overwhelmingly support the need for these programs for low-income Americans. We are spending more money on safety net programs now because so many people need them. In California, for example, more than half of our public school students qualify for free or reduced-price school meals and most babies born qualify for the WIC program. Thus, our food programs are not serving a small segment of our population but, rather, are necessary to sustain the majority of our population. We need to fix our economic challenges. In the meantime, cutting these food assistance programs would increase the risk for poor diets and the resultant long-term chronic disease costs, which would then paradoxically actually increase budgetary expenditures. Thus, cutting these programs would be an example of action that is penny-wise and pound-foolish. Q: Can you tell our readers a bit about your most current research projects? 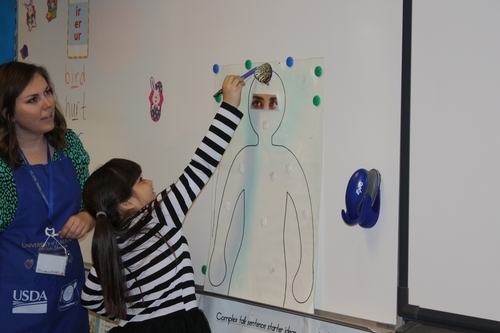 UC ANR Cooperative Extension nutrition educators provide nutrition education in classrooms. A: One of our exciting new projects is the California Healthy Kids Study, which will assess the school and community programs and policies that may reduce obesity among school children. Using data from school measurements of body mass index over the last decade, and controlling for factors such as location, ethnicity, and socioeconomic status, we can identify communities where obesity rates show improvement over the last decade. Identifying those communities can help us to determine programs and policies that appear to have been the most effective in stemming rising obesity rates. Communities are looking for guidance on what works. This information can provide guidance for policy development and programmatic change in other locations. Q: Fomenting change is risky. What keeps you going when things get tough? What keeps me going is the realization that we, as adults, are not adequately protecting our children. For a long time, we bought into the mantra that children were to blame for not making healthy food choices. We now have overwhelming evidence that children will make unhealthy choices only if given unhealthy food options; conversely, children will make healthy choices if given healthy food options. Adults are responsible for the health, well-being and protection of their children and this means provision of healthy food choices and lack of access to unhealthy food choices. Healthy food consumption is the single biggest factor for preventing chronic disease risk in children. Healthy food for children is an investment in our nation's future as surely as is education. Q: Many are using social technologies for movement building in your profession (the work of the SugarScience team is just one example). Children get UC CalFresh training. A: Research at the university has traditionally been disseminated through academic papers and rather narrow channels. Now it is apparent that a variety of informational technologies must be employed. If we don't use new communication tools, the spread and impact of our message will be diminished. Q: Your work has a strongly ethical aspect to it. Are there unique challenges that nutrition professionals face in a free market environment? A: Nutrition professionals have to contend with the enormous power of large multi-national corporations in the food industry. The power of food companies to influence policymakers cannot be overestimated, particularly when it comes to changing nutrition policies for our nation's food programs or trying to establish new policies to limit consumption of products we know are contributing to ill health. Further, the food industry has enormous resources available to market and promote foods and beverages with little or no nutritional value to children. This overwhelms and undermines the efforts of the limited nutrition education that is available to educate them. The free market fails here — consumers aren't able to get the information they need to make good decisions, and the people who profit from selling ill health are not the same ones who pay the consequences. Thus, it is up to those of us working in this area to make sure we share good information and work to change the systems that currently enable selling ill health to be so profitable. Q: With a proliferation of labels, many consumers are confused. Do labels help someone concerned with ethical and environmentally aware eating? A: Food companies make claims for their products, both in advertising and on the front of package labels that are deceptive and misleading. For example, a product may claim to have no gluten or no cholesterol despite the fact that that type of product never included those constituents. Products that say “lower salt” are often still very high in sodium. Some products claim to provide energy when they are really only indicating that the product provides calories. Confusion is commonplace. Access to information on the environmental impact of food production is sorely limited. Only recently has the selection of a diet good for both the individual and for the planet become a part of our discourse. For people who can afford to shop at specialty food stores or farm stands, there are some suppliers in the marketplace that try to sell better choices in terms of environmental impact. But we have barely begun to do what is needed to support wide availability of dietary choices that are optimal for human or environmental health. Q: Everyone gets the drought question! The California drought impacts the nation and the world. What changes might it bring about in the nation in terms of thinking about where and what we produce? What might the future hold for California, and agricultural production in the state? A: There is much we don't know. Climate scientists and agricultural scientists are working to identify and predict the impact of various aspects of climate change including increased CO2 emissions, warming, and drought on crop yields and nutrient composition of various commodities. What I can say is that if the yields of fresh fruits and vegetables drop considerably, as they may do, we will have a grave situation. Fruit and vegetable intake by Americans is already inadequate. Eating enough affordable fruits and vegetables is going to be harder than ever, particularly for low-income Americans. This is yet another reason why reducing federal nutrition assistance programs at this time, as some are proposing, is not wise. A: I'm most worried that some of the progress we've made on policies to improve the healthfulness of school meals will be reversed due to political pressures based on the costs of healthy foods compared to the lower costs of less healthy foods, and the resistance of some to accept change that is in the best interest of children, particularly when it affects the profits of adults. I am also worried that there will be enormous lobbying efforts on behalf of less healthy foods that have been excluded from the new regulations. School meals should be more fully supported in order to provide children with the foods they need to be healthy. Q: What might it take to get the next generation inspired to be concerned about nutrition and food policy? A: I'm really pleased that these issues continue to be in the public eye and in the media. I hope that food and nutrition education will be reinstated in schools with the knowledge that this type of education can be provided in a way that it does not negatively impact test scores in common core subject areas. Currently children in the United States receive an average of only four hours of nutrition education a year, similar to the amount of time students are exposed to junk food advertising in a single week. With even modest increases in annual hours of food and nutrition education, I believe the next generation will be more aware and concerned about the relationship among nutrition, disease and food policy. We are seeing that the millennial generation is more interested in food issues than the generations before them, and this I find very encouraging. Q: What must institutions and groups do to effect change in the food system? A: I am heartened by the increased attention being focused on the food environment, policy and systems. A complex issue such as the food system requires input on multiple levels from multiple stakeholders. An example of the kind of effort that is needed is already underway on the University of California campuses. Last year, President Napolitano began the Global Food Initiative to harness the expertise and resources across multiple disciplines the UC system to address healthy and sustainable food systems. Q: We're faced with challenges on a variety of fronts that have strongly ethical aspects to them, such as climate change, environmental constraints, income inequality, and food access. How do we get groups to move forward together? And is this a movement? How does the work of professional nutritionists fit into the larger food movement? 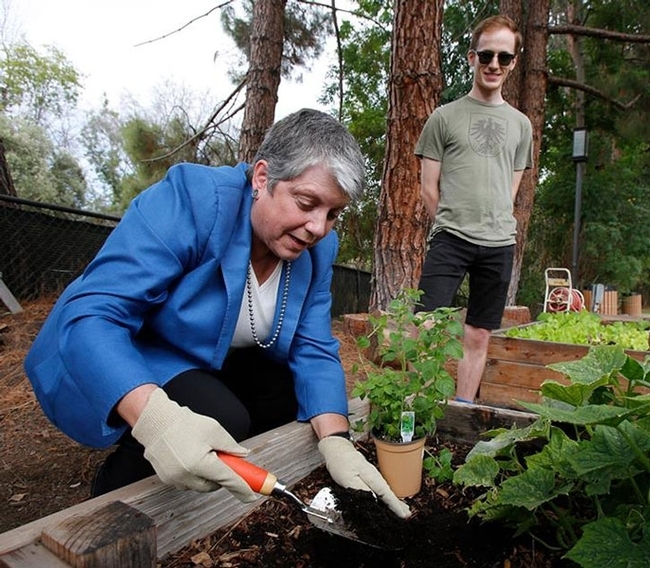 President Napolitano digs in garden during launch of the Global Food Initiative. A: The food movement is well under way and is very diverse in its concerns and approaches, including considerations of environmental sustainability; fairness and economic justice in the food system; and providing access to healthy food for all. The next generation is being trained to look at the food system through a variety of lenses. For example, the Berkeley Food Institute is changing the way students are trained in this area. The Institute is encouraging new cross-disciplinary approaches. The UC Global Food Initiative, university-wide, is working to increase research and collaboration among all the campuses. The UC ANR Nutrition Policy Institute is working to train the next generation of nutrition researchers to expand their field of inquiry and include systems science in their work. The work of nutritionists can enrich and inform our understanding of the food system by providing the evidence linking factors within the system to food and health outcomes. Q: I'm giving you a super power. You can change one thing about the food system with that super power. What change would you make? A: I would level the playing field by reducing the influence of money to reduce the healthfulness of children's diets, both in the marketing of unhealthy foods to children, and in food industry lobbying of policy makers.